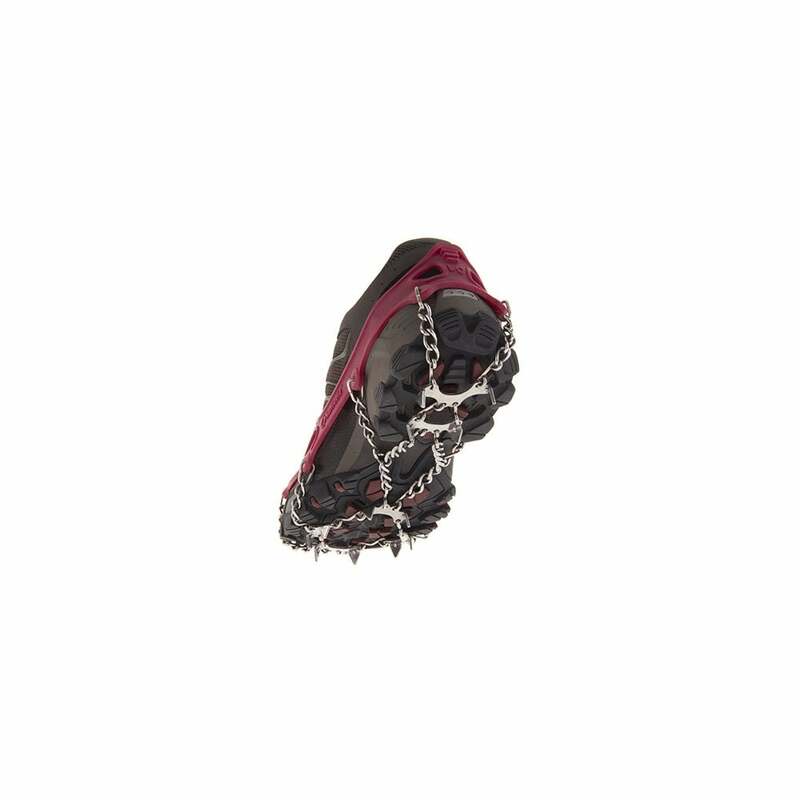 Kahtoola’s Microspikes ice traction system. Put a pair of our ice traction system in your pack and you’re ready to handle whatever nature throws at you. When you encounter challenging terrain such as scree, ice, snow, wet rocks, slick sidewalks just take them out and slip them on. There are no special straps, no laces, no fuss – just the confidence you need to get directly from where you are to where you want to be. They fit easily over most any footwear and offer secure ice traction to keep you moving. Pack them up, pull them on, and go. Ideal for older climates for your next challenge!